5 Star London living is offered at this award winning Chelsea location consisting of 33 deluxe, full equipped apartments just a stone's throw from Sloane Square and it's shopping tributary, Sloane Street. Access to the designer boutiques of Chelsea together with it's direct transport links to The City make staying here an ideal vantage point for shopping and a convenient base from which to conduct business. 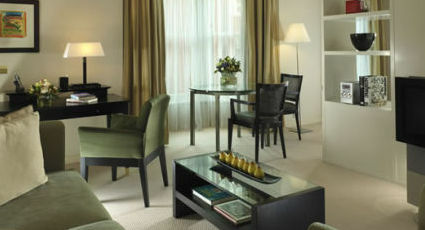 Room Service is available from Le Cercle, one of London's most celebrated French restaurants. Guests also have a private entrance to Le Cercle from the building. Only organic and environmentally friendly materials and cleaning products are utilised in these apartments which are also all designated Non Smoking. Sloane Square Tube station is just a few moments away and provides access to the District and Circle lines. For those happy to take a walk up Sloane Street Knightsbridge tube station is also easily reached and is served by the Piccadilly line.